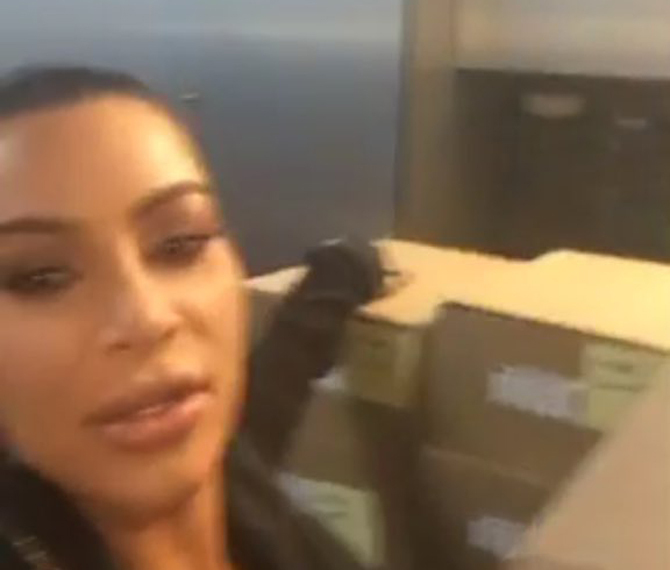 It seems that Kim Kardashian is in charge of seeding pairs of sneakers for her husband Kanye West's adidas Yeezy line. 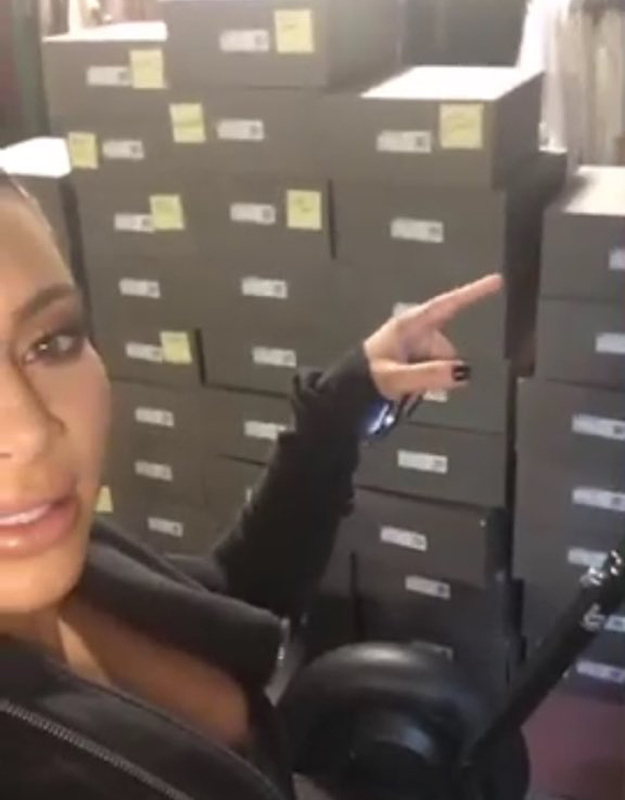 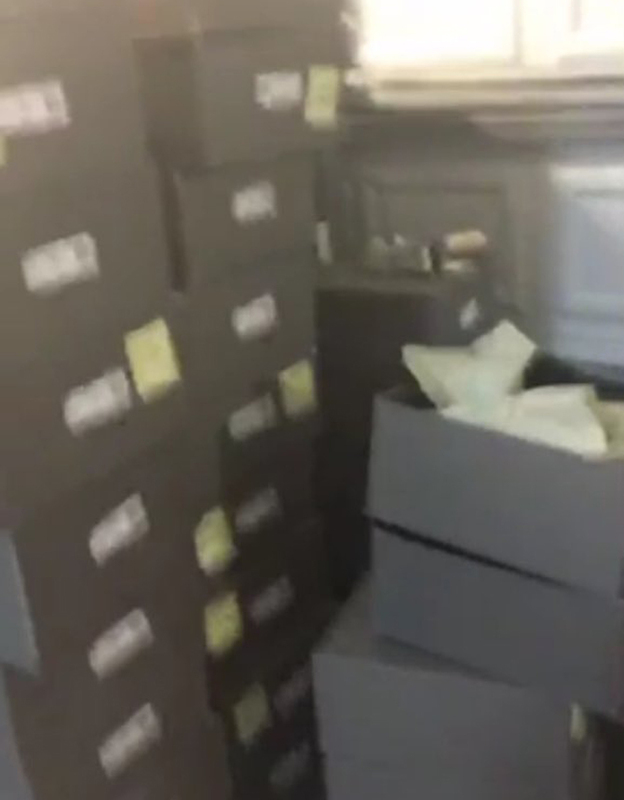 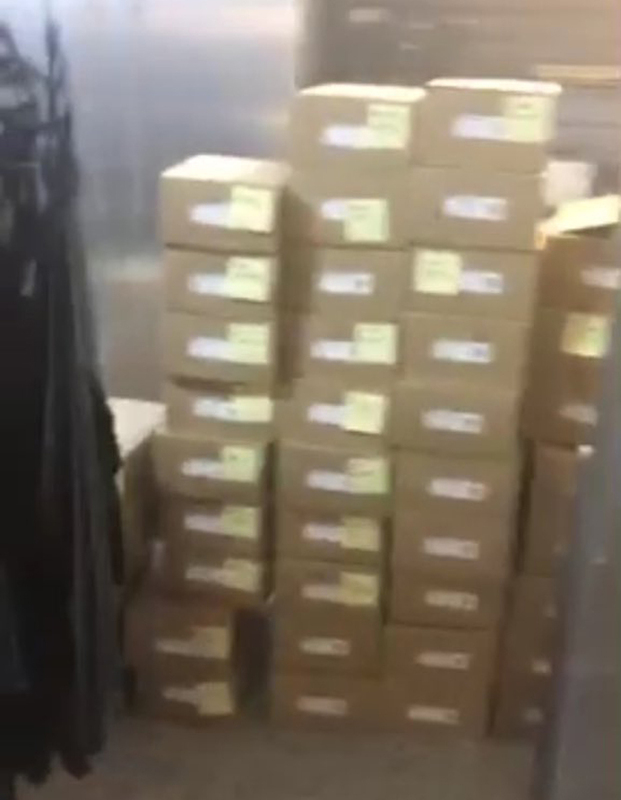 Kardashian said as much on a livestream via her app today, showing off a bunch of boxes of the coveted adidas Yeezy 350 Boost and Yeezy 950 Boots stacked high in her mom's basement. 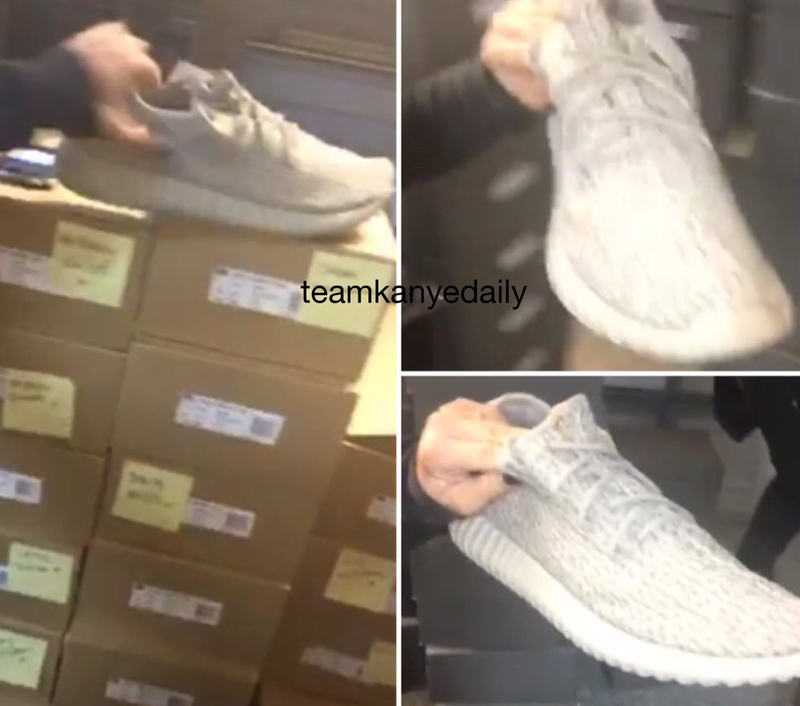 According to TeamKanyeDaily, she also said that West holds on to his extra Yeezys to give to his friends in case they don't get pairs. 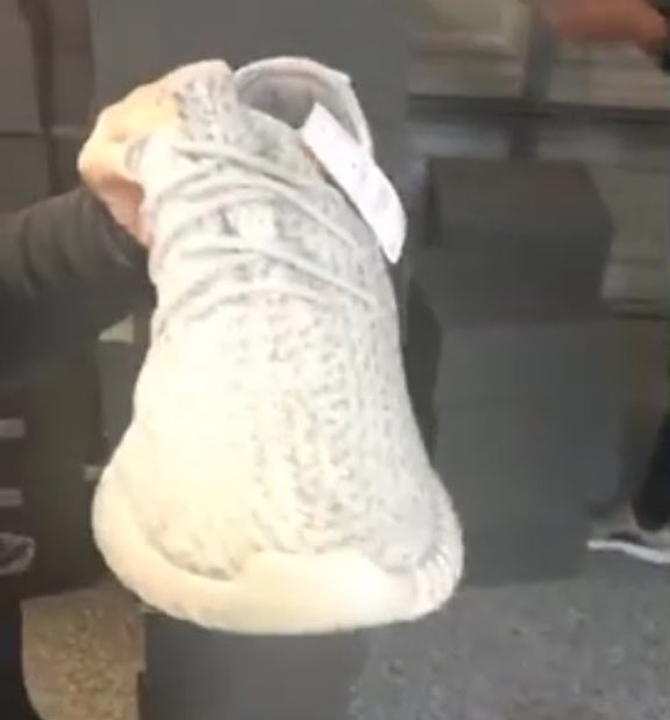 During the stream, Kardashian showed off the new grey adidas Yeezy 350 Boost, which releases on Nov. 14.